The international tourism and real estate agency "Agenzia Gavia" has been operating for over 30 years in the field of holiday rentals and sales of local flats and homes, establishing itself in a trustworthy position within the real estate and holiday rental marketplace on the Adriatic coast of Abruzzo, in the localities of Martinsicuro, Villa Rosa and Alba Adriatica, which are the most loved by families destinations of both Italian vacationers and tourists from all over the world. Besides being agents for some of the most relaxing and pleasant holiday homes in the area, we can also tailor make each experience to suit your exact requirements. Our highly qualified staff is there to help you through every step of your holiday, together with the quality guarantee of the variety of the solutions proposed. We will help you find what’s right for you and your family, as well as ensuring the best value for your money. Gavia agency is Pet Friendly and pays attention to your animal "friends". All our proposals accept animals of any size and kind. Currently, we manage numerous structures that are tailored to different holiday experiences. Everything we manage is done in a highly technological and digitalised manner, to provide the fastest and most innovative management solutions. Our goal is to provide you, the highly valued customer, with a wide and competitive offer, always with a promise of professionalism and transparency, proposing structures only a short walk from the beach and directly on the seafront, guaranteeing continuous assistance and guidance throughout your holiday, liaising with local restaurants and beach resorts. 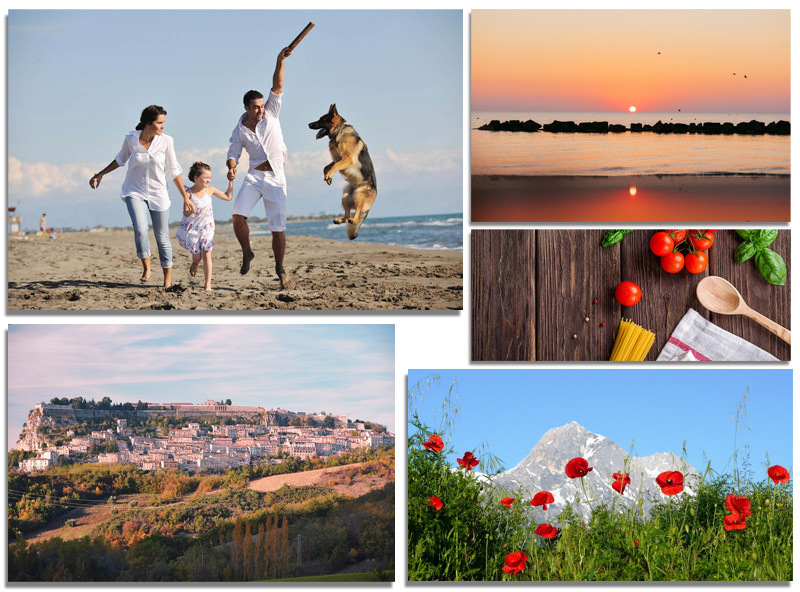 The agency's employees and owners have been living in the Abruzzo area for many generations, meaning that we take your experience at heart, guaranteeing all the services needed in a friendly and timely manner. Relying on our agency based in the heart of Martinsicuro, "Gavia" means trusting us as extremely qualified and trustworthy, as a town’s flagship institution for holidays, who for 30 years has welcomed families and tourists from all over the world, providing them with an impeccable service and a holiday stay. No surprises, only guarantees.